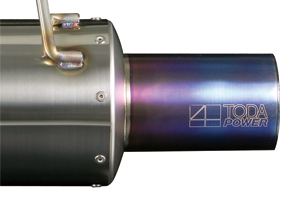 A study of design and without compromise TODA High Power Muffler is a genuine TODA Racing performance item. 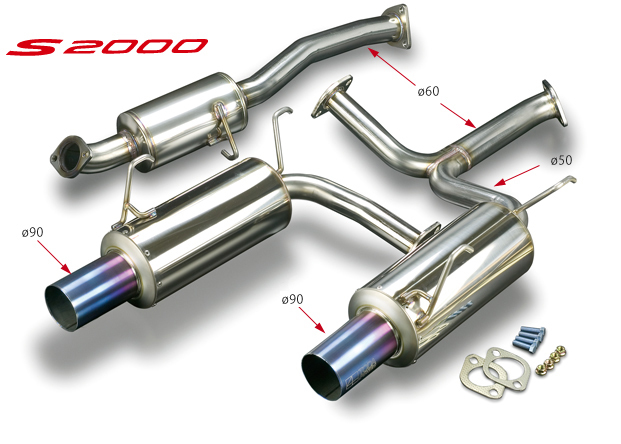 The internal design is based around a constant Ø60 pipe, with no bends or restrictions the engine is able to breath more freely so releasing more power. (Stainless) Center pipe Ø60mm + (Titanium) Tail pipe Ø90mm on both sides / straight tails.